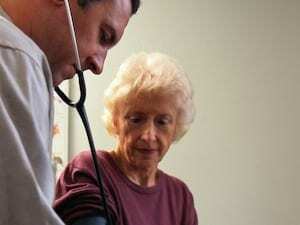 WEDNESDAY, Feb. 27, 2019 (HealthDay News) — While effective at cutting heart risks, blood pressure and cholesterol drugs may not help preserve seniors’ brain health, new research finds. Over an average span of nearly six years, all of the seniors took different combinations of drugs to lower blood pressure and/or statins to control high cholesterol. All took memory and thinking tests at the start and end of the study, the Canadian researchers said. The result: None of the drugs appeared to have any impact on long-term mental declines. Study author Jackie Bosch said her team was not really surprised by the findings. She is an investigator at the Population Health Research Institute and an associate professor in the School of Rehabilitation Science at McMaster University in Hamilton, Ontario. At the same time, “there have not been [any] studies to show a protective effect” linked to statins, with some prior research having raised “concerns, based on observational data, that statins [may even] cause memory loss,” she added. Worldwide, roughly 1 in 10 individuals over the age of 60 suffer from some degree of thinking impairment, the investigators noted. Prior research has suggested that living with uncontrolled high blood pressure and/or high cholesterol during middle age may raise the long-term risk for developing thinking declines. Still, research has been mixed as to whether that risk can be limited by taking drugs to control heart disease risk factors. In the latest study, published online Feb. 27 in the journal Neurology, the participants were an average age of 74, while 6 in 10 were women. Just under half (45 percent) had high blood pressure, and all were believed to face a moderate risk for developing heart disease. Over the course of the study, all participants took one of four daily regimens: a high blood pressure drug combination including 16 milligrams (mg) of the ARB (angiotensin II receptor blocker) medication candesartan (Atacand) along with 12.5 mg of the diuretic hydrochlorothiazide (Microzide); or a daily 10 mg pill of the cholesterol-lowering drug rosuvastatin (Crestor); a combination of the two; or a placebo pill. All participants underwent a battery of thinking and memory tests, both when the study began and ended, along with biannual physical checkups. In the end, the drugs were found to have no effect on mental health outcomes. Still, Bosch acknowledged that more research would be needed to explore the possibility that such drugs might prove protective if started earlier in life and taken over a longer period of time. For one, Fargo underscored the fact that other investigations had come to different conclusions. In particular, he highlighted the findings of the recent SPRINT MIND study, which weighed similar questions among a larger pool of patients. The SPRINT study, said Fargo, permitted doctors to prescribe any blood pressure control med they wanted, in contrast to the Bosch effort, which only explored the potential impact of a few specific medications. And the SPRINT investigation did find that “lowering blood pressure in people with existing hypertension significantly decreases risk for developing mild cognitive impairment [MCI],” Fargo said. The American Heart Association offers more on the link between heart health and brain health.